Microsoft is becoming more serious about making media playback a slicker experience on Windows 10, adding some smart new features to the Groove Music and Films & TV apps. Let’s start with the changes to the music app, which are live now. The major introduction here is the ability to share your playlists with other Groove users directly on social media sites, or via email (note that those who you’re sharing with will need to be running the latest version of the software for this functionality to work). 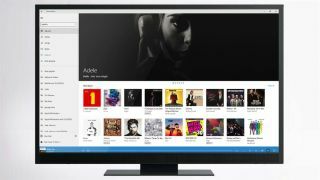 Also, those who haven’t yet committed to a Groove subscription will now be able to sample preview snippets of the millions of songs in Microsoft’s library, in an effort to tempt them to sign up for the service. Finally, for an extra touch of convenience, you’re now able to text yourself a simple link to install the Groove app on your iOS or Android device. As for the Films & TV app (Movies & TV in the US), a wider range of video files are supported for playback, which is always welcome. Furthermore, the app now supports picture-in-picture via what Microsoft calls its ‘compact overlay’ window. In other words, you can watch a video in a small window overlaid on top of whatever app you’re using or working with – very nifty indeed. Unfortunately, when it comes to the films app, these features are only live for those running the Creators Update right now (i.e. current preview build of Windows 10). If you’re not a tester, you’ll have to wait for the big update to officially arrive (likely in April). That said, some minor (unspecified) tweaks have also been implemented to Films & TV, and all Windows 10 users have received these. Of course, we’re likely to see the same picture-in-picture overlay feature arrive in the films app for the Xbox One, and speculation is pointing to this – or something like it – being a complete replacement for ‘snap mode’ on Microsoft’s console.